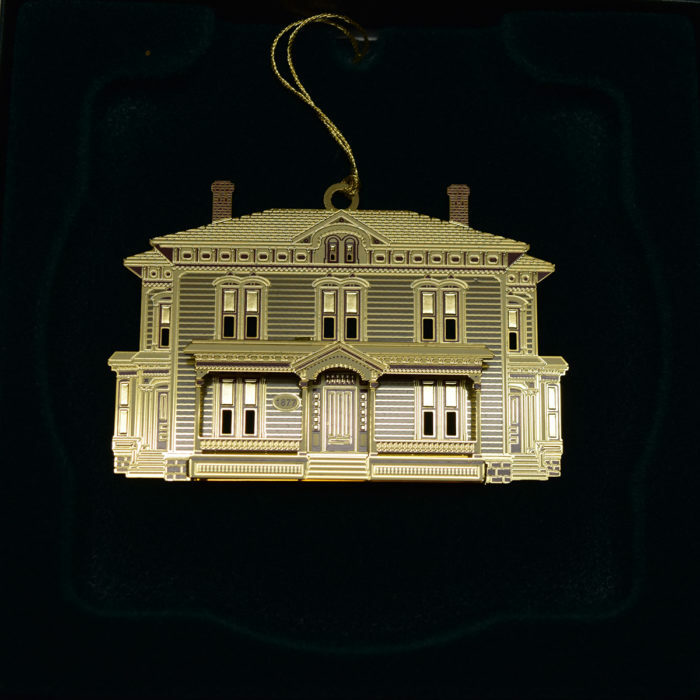 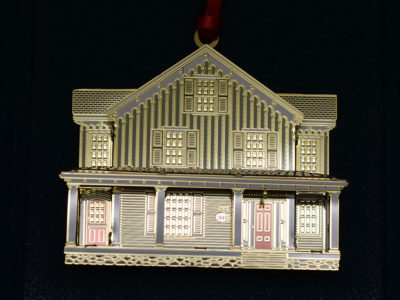 Our seventh ornament in this series, released in 2003, is of the George Washington Brabb house, located at 185 S. Main St. 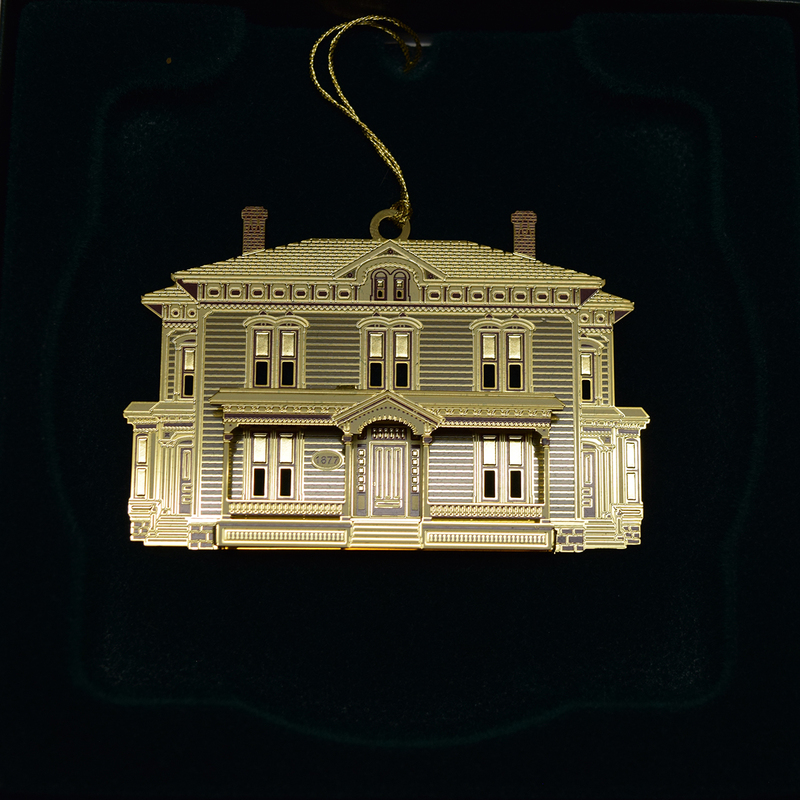 This large Italianate residence was erected in 1877. 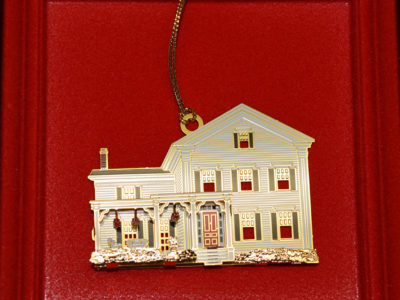 The residence now serves as a bed and breakfast, wedding chapel and tea room. 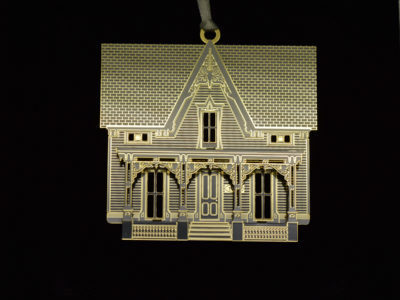 Romeo Village Winery offers their “Brabb House, Chardonnay” wine with this house on their label.